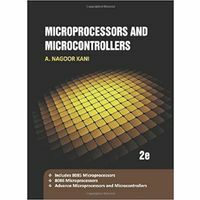 This book provides the students with a solid foundation in the technology of microprocessors and microcontrollers, their principles and applications. 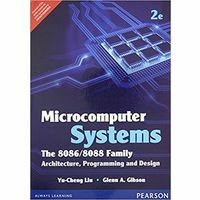 It comprehensively presents the material necessary for understanding the internal architecture as well as system design aspects of Intel legendary 8085 and 8086 microprocessors and Intel 8051 and 8096 microcontrollers. The book throughout maintains an appropriate balance between the basic concepts and the skill sets needed for system design. 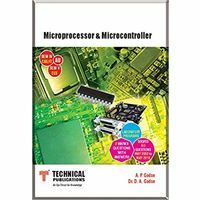 Besides, the book lucidly explains the hardware architecture, the instruction set and programming, support chips, peripheral interfacing and cites several relevant examples to help the readers develop a complete understanding of industrial application projects. Several system design case studies are included to reinforce the concepts discussed. With exhaustive coverage and practical approach, the book would be indispensable to undergraduate students of Electrical and Electronics, Electronics and Communication and Electronics and Instrumentation Engineering. 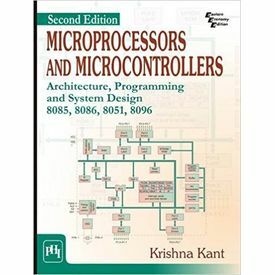 It can be used for a variety of courses in Microprocessors, Microcontrollers and Embedded System Design. 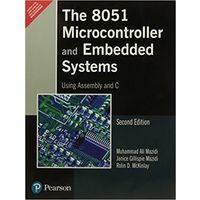 The second edition of the book introduces additional topics like I/O interfacing and programming, serial interface programming, delay programming using 8086 and 8051. Besides, many more examples and case studies have been added.